2017 was a good year for cinema: major blockbusters, lots of superheroes but also hugely successful films ‘made in Europe’. Let’s take a look back at the highlights of the major European film festivals, and one of the strangest Oscar moments in the history of Hollywood. The film festival year kicks off with the Berlinale in February. Dutch director and producer Paul Verhoeven was president of the jury, which awarded the Golden Bear to ‘On Body and Soul’ by Ildikó Enyedi. The the last time a Hungarian movie won this top award was 42 years ago. ‘On body and soul’ is a love story set in a Budapest slaughterhouse about two workers who discover they share the same dream of meeting as deer in a forest. It has been selected as Hungary’s entry for Best Foreign Language Film at the Oscars. Who can forget the massive faux pas at this year’s Oscar award ceremony when a mix-up in envelopes led Faye Dunaway and Warren Beatty to wrongly award the most prestigious prize for Best Picture to ‘La La Land’. After a few minutes, the mistake was corrected and ‘Moonlight’ was declared winner. The first movie with an all-black cast and the first LGBT-themed film to win Best Picture at the Oscars, ‘Moonlight’ follows the life of a young black man growing up in Miami and his epic journey to manhood. Starring Emma Stone and Ryan Gosling, Damien Chazelle’s romantic musical comedy ‘La La Land’ picked up a whopping six Academy Awards, seven Golden Globes and five BAFTAS, and was a huge box office success. 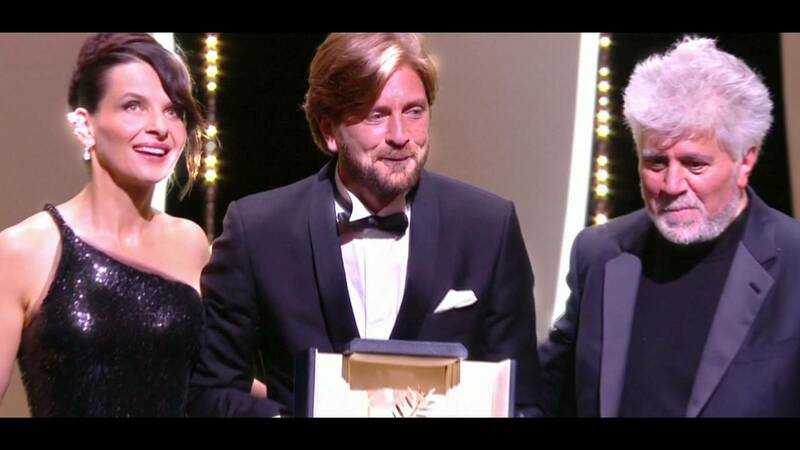 Headed by award-winning Spanish director Pedro Almodóvar, the jury at this year’s Cannes Film festival handed the coveted Palme d’Or to Sweden’s ‘The Square’ by Ruben Östlund. Almodóvar praised the movie for depicting the dictatorship of being politically correct. The satirical drama, that centers around the curator of a contemporary art museum in Stockholm, has been selected as Sweden’s entry for Best Foreign Language Film at the Oscars. It won over hot favourite ’120 Beats Per Minute’, by French director Robin Campillo. At the 74th edition of the Mostra in Venice, the world’s oldest film festival, top honours went to Mexican director Guillermo del Toro for his fantasy drama ‘The Shape of Water’. The story of a mute women, played by Sally Hawkins, who works at a high-security government laboratory and befriends a captured amphibious creature, the film has been hailed as one of del Toro’s best films in a decade. And finally, Spain’s San Sebastian Film Festival wrapped up the major European film fests with John Malkovich heading the jury. The Golden Shell went to ‘The Disaster Artist’, a biographical comedy about the making of Tommy Wiseau’s 2003 cult film ‘The Room’, widely considered one of the worst movies ever made. James Franco directs, produces and and stars in the movie.